Fossil Vintage is one of those hidden treasures of the vintage world, nestled amongst industrial buildings in Fairfield it is the perfect place for serious vintage fossicking. If you're idea of vintage heaven is entering a pristine, postmodern retail store with perfectly pressed vintage garments and handcrafted price tags, then Fossil Vintage is not for you. 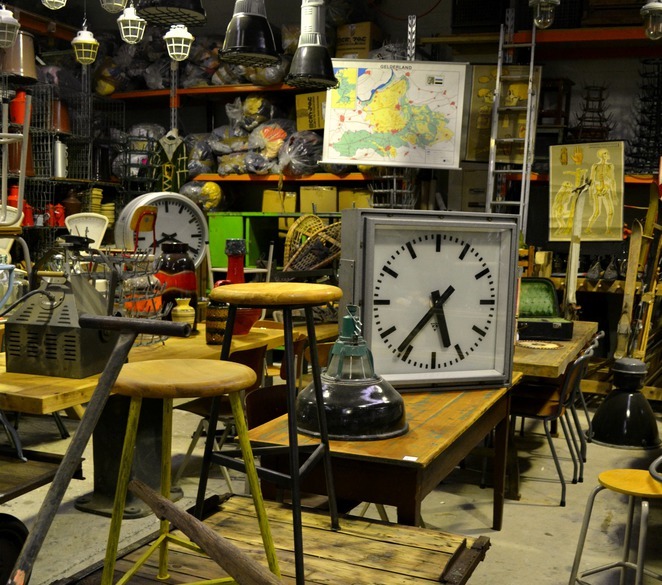 Fossil Vintage is an inspiring vintage experience in a warehouse crammed full of dusty vintage cabinets, forgotten relics, kitsch décor, vintage clothing, and quirky industrial gadgets. 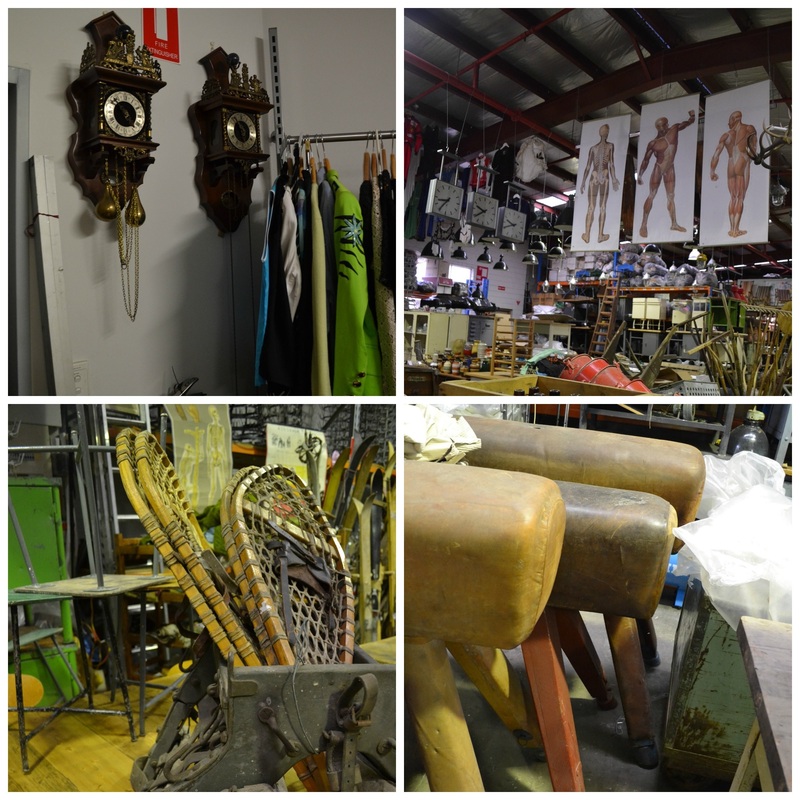 The beauty of it is that you could literally spend hours there, provided you're rugged up on a cold day, just sifting through boxes of vintage clothing, poking about in corners filled from top to bottom with strange and wonderful things, and searching for that perfect something that would look amazing in your living room. Fossil Vintage has been around since 1986. In fact, they're one of Australia's premier vintage and industrial furniture sellers. 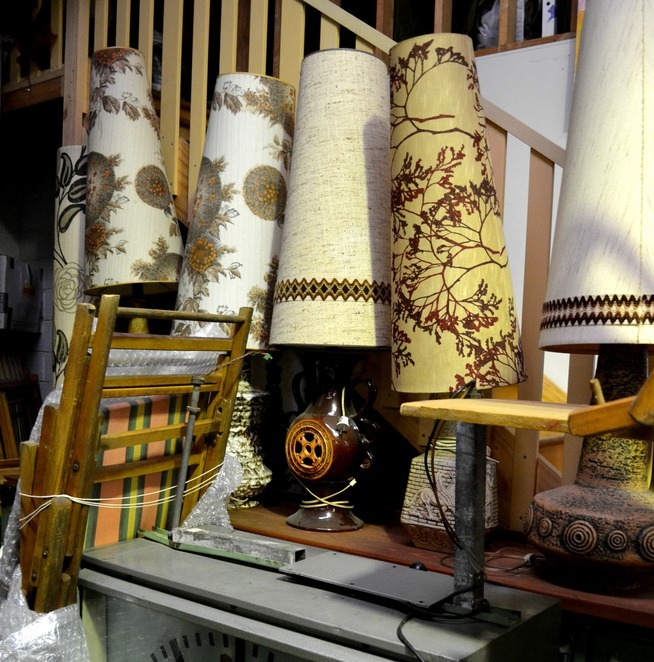 They import their vintage furniture from Europe, with pieces being handpicked for their quality, individuality and unique style. 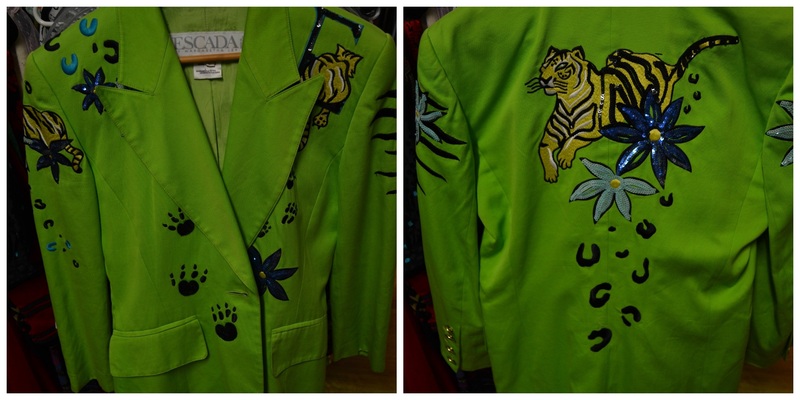 The warehouse is stocked after buying trips every 2 months so you know you're always going to find something unique. 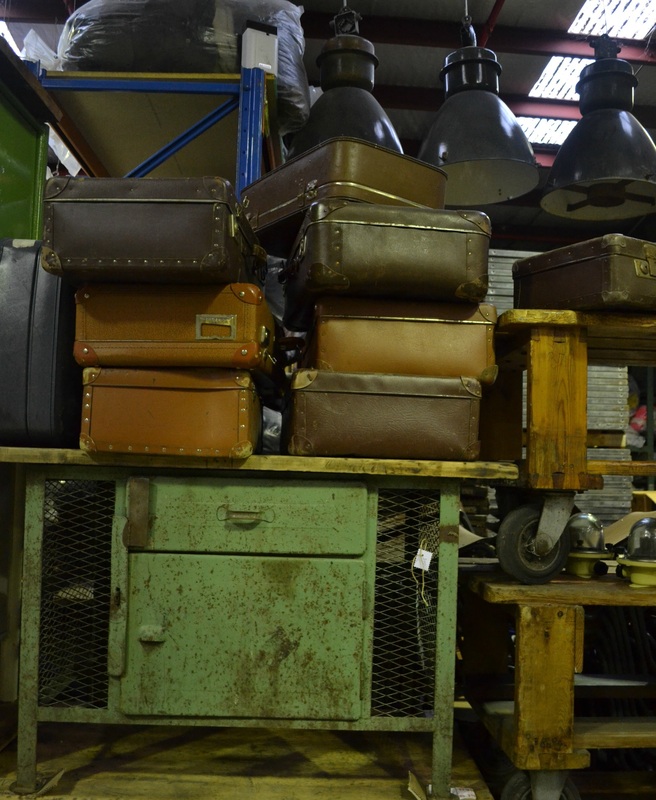 At Fossil Vintage you'll find vintage industrial lights, tables, office furniture, chairs, storage units, workbenches, recycled wood, pallets, trolleys, and crates. 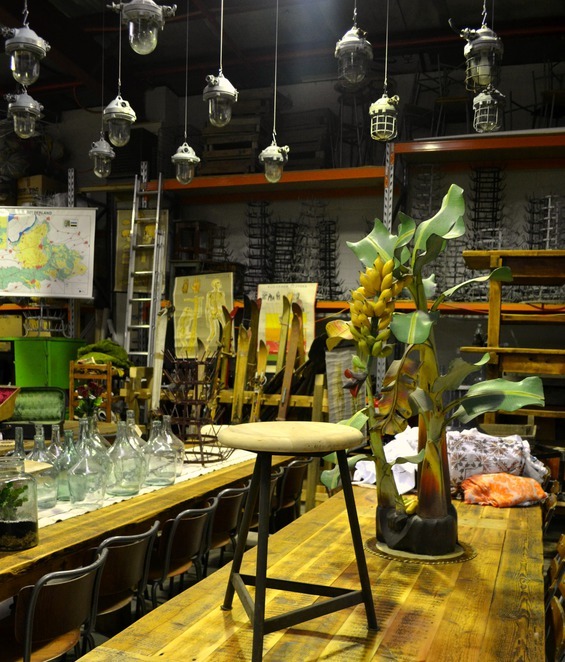 They also stock amazing things that are bought by restaurants and the hospitality industry. There's a large room towards the front entrance that has some of the best vintage clothing you can find. Primarily from the 1920s, 30s, 40s and 50s, the pieces are in excellent vintage condition and average at $100 per garment. There are designer jackets, coats, wedding dresses, blouses, party dresses, sequined frocks and dresses for every season! 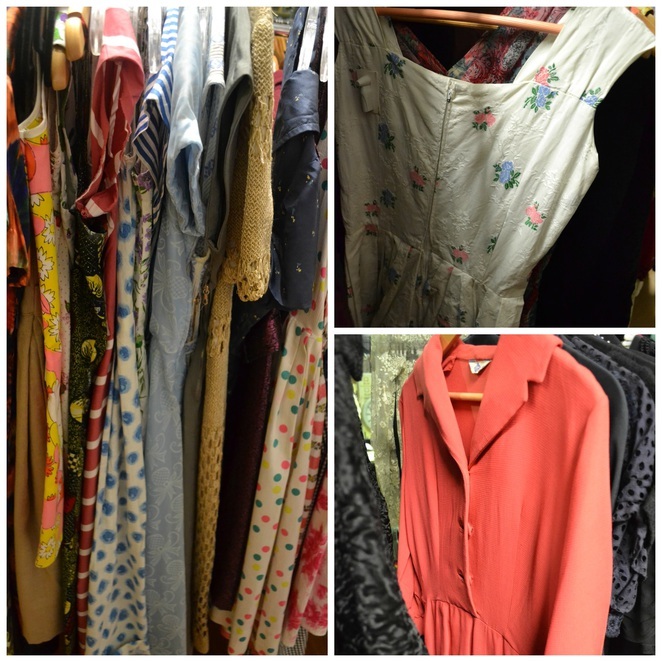 They have a gorgeous range of 1950s summer dresses and some lovely pieces from the 1930s. 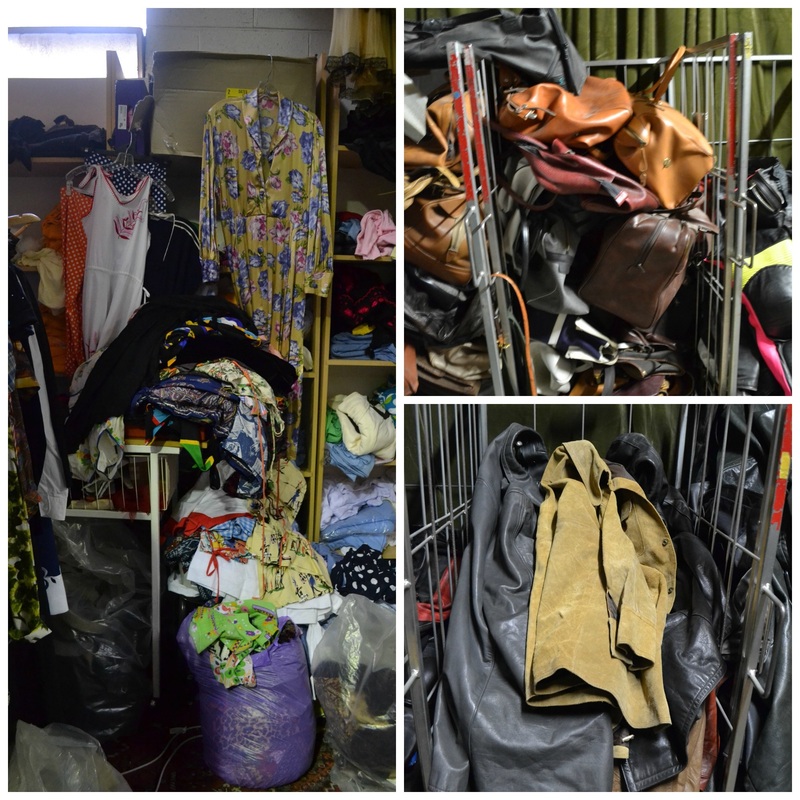 At the back of the warehouse are racks of vintage clothing like jumpers, jackets, denim shorts, scarves, men's clothing, skirts, children's vintage and shirts. 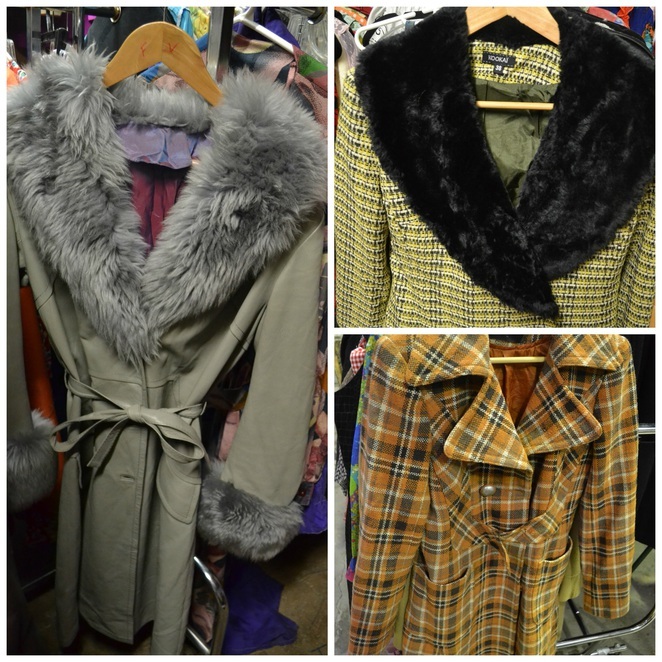 They are not as amazing as the pieces in the front room, but you can still find some good vintage pieces to add to your wardrobe. Bags of vintage stock are stored in the back area of the warehouse and these are sold by the kilo. Hanging from the ceiling beams are vintage costumes or period pieces that are primarily bought by theatre companies. Have a good look around as at the back of the warehouse you'll find a multitude of vintage soccer tops, suede jackets, motorcycle gear, gloves, belts and beanies. The warehouse is full of quirky one-off pieces that will have you either scratching your head trying to work out its function, or feeling thrilled at the prospect of displaying it in your own home. On my last visit I found enormous French antique crucifixes, clearly from an historic European church. They also have taxidermy pieces and strange wall hangings. 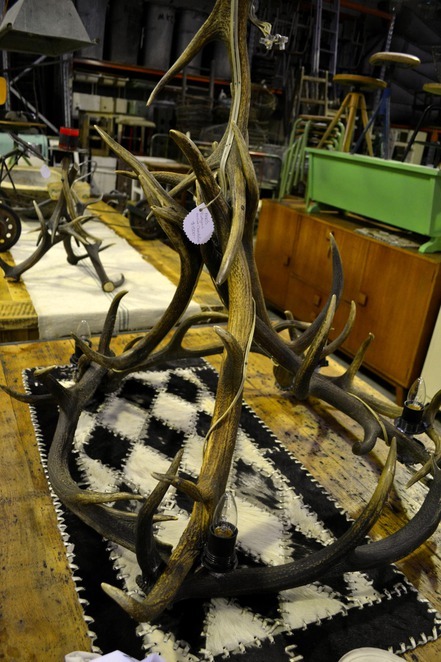 I saw a massive 1940's Belgian Antler Chandelier for $1,500. That's definitely something you probably won't find anywhere else. Wall spaces, floor spaces, shelves, tables and corners are littered with kitsch. 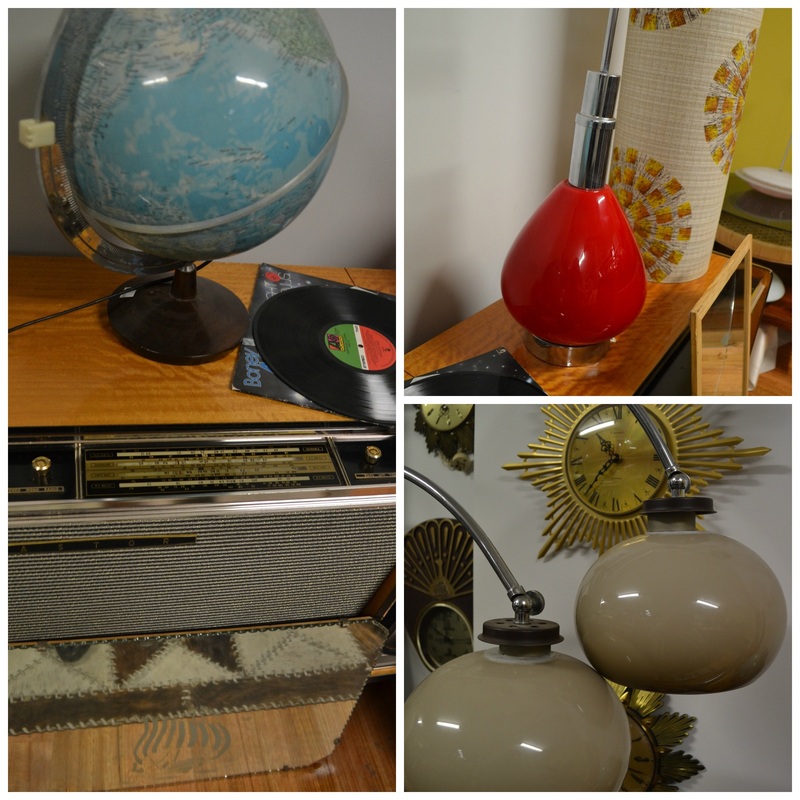 Once an eye-sore of the vintage world, kitsch is now an important part of a vintage collector's repertoire and a wonderful way to display 70s pieces. If kitsch is your thing then look no further! 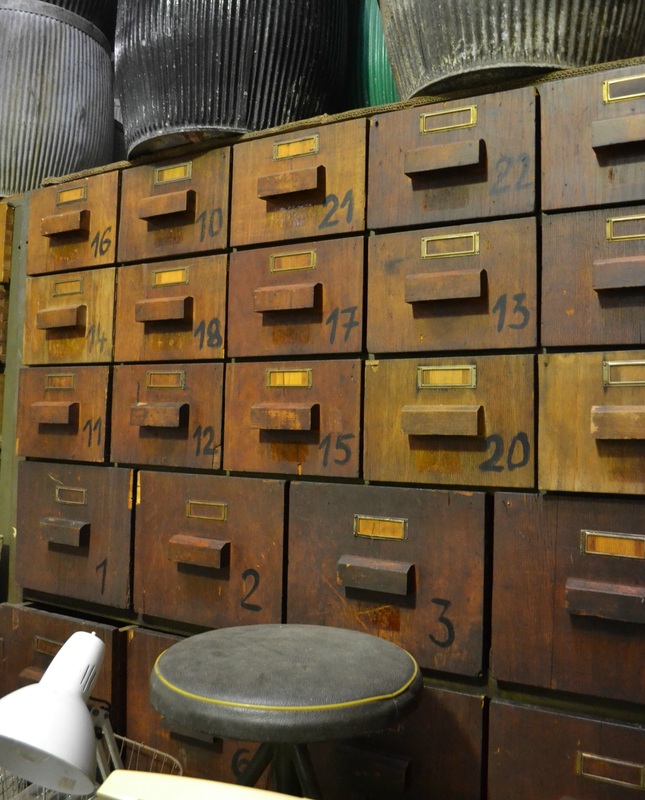 The owners are constantly sorting and tidying new stock that has come in so you're bound to find piles of vintage goodies that haven't yet been sorted or that are stacked up in the corner waiting to be sorted. 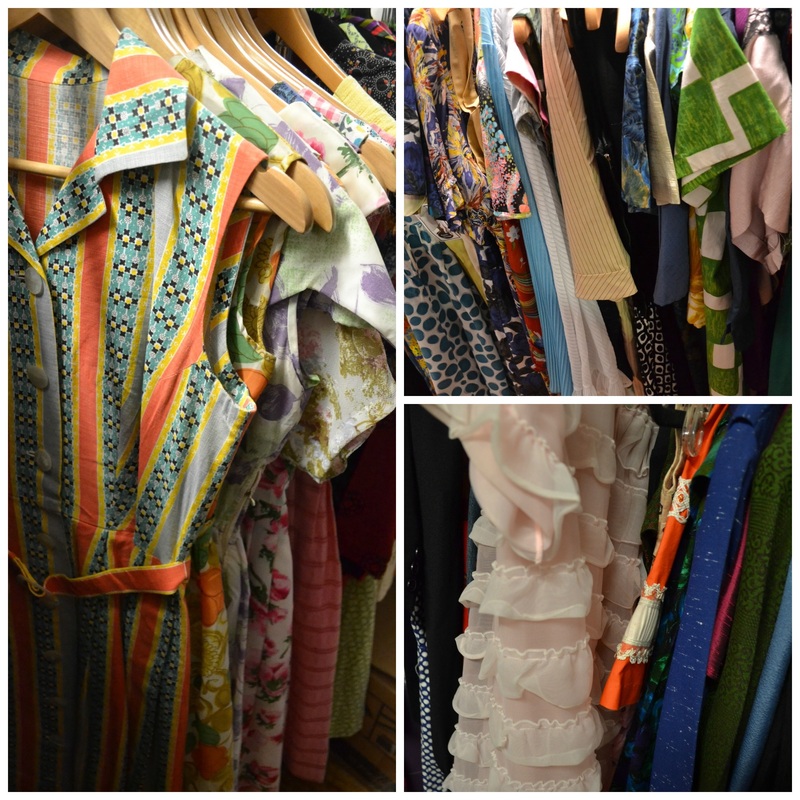 There are boxes and tables full of vintage clothing which is perfect for those that enjoy rummaging through looking for vintage goodies. 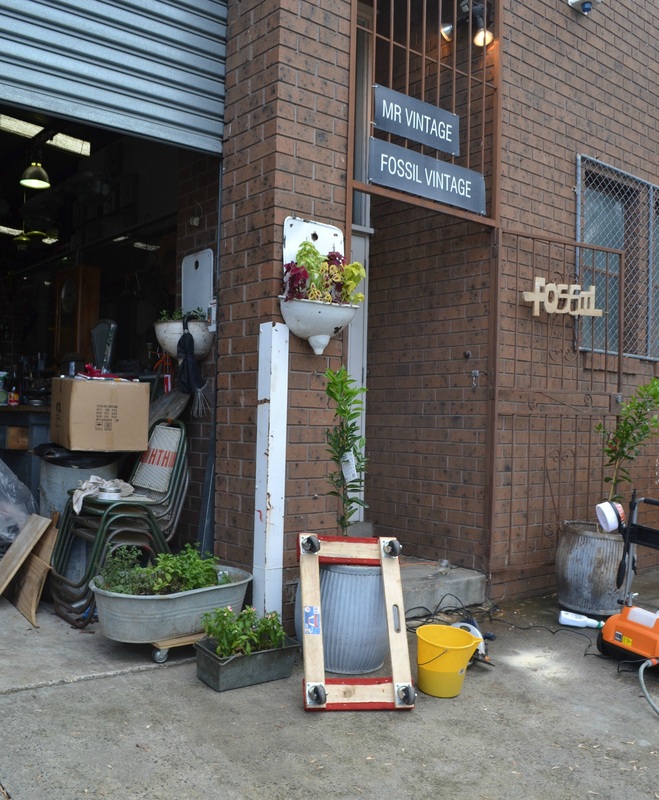 Fossil Vintage is located at 57 Sparks Street, Fairfield. It is wedged between two large factories, but this is what it looks like from the outside. Looks like a great place for a fossick!